Brand new engagement ring featured in LA Times. One of Novell’s new platinum engagement rings makes its debut to the general public in the September 9, 2009 edition of the LA Times. The style also recently appeared to the trade in JQ Magazine as well. 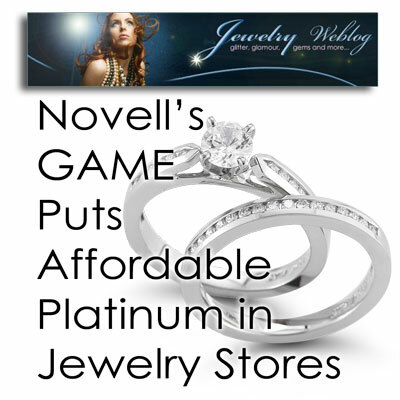 Our new line of platinum bridal jewelry should be readily available to most Novell retailers by 2010. We hope you are as excited as we are about our latest jewelry styles. 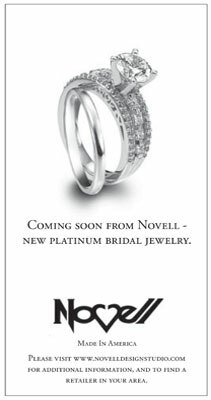 If you are a consumer looking for more information about Novell’s upcoming platinum bridal jewelry line, please have an authorized retailer contact us on your behalf. They will be happy to obtain all pricing and manufacturing options. 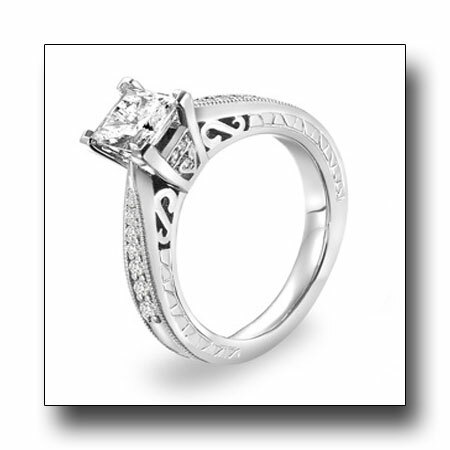 View more details about the featured platinum engagement ring. 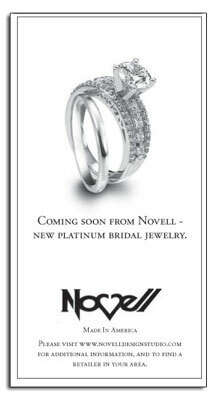 Novell’s new platinum engagement ring is also highlighted on PreciousPlatinum.com. New platinum engagement ring makes its debut in LA Times. Platinum lasts a lifetime. 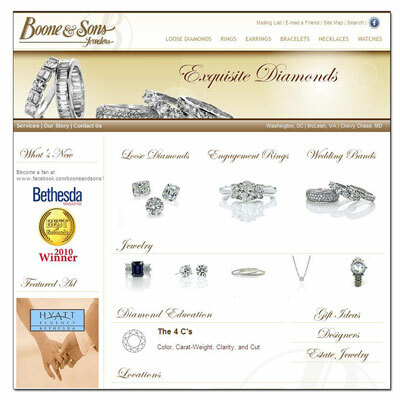 Download the LA Times special advertisement to present to a jeweler. New platinum engagement ring in In Style magazine. 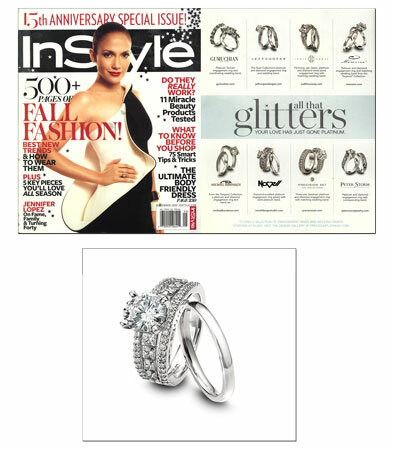 The September 2009 issue of In Style featured Novell’s new platinum engagement ring style E2485-LC. This brand new bridal design has also been featured in JQ Magazine and LA Times. 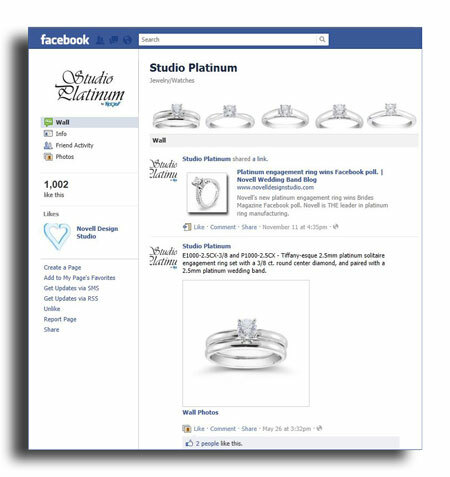 Download this platinum engagement ring feature. New platinum engagement ring debuts in JQ. 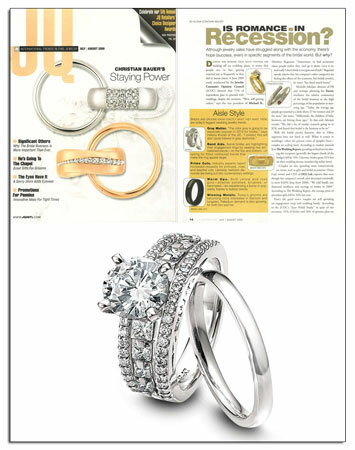 The July/August 2009 issue of JQ Magazine featured brand new Novell platinum engagement ring style E2485-LC. This design will appear in a variety of Platinum Guild International advertisements in 2009 and 2010, and also be a highlighted selection from Novell’s upcoming bridal line. Keep up to date with everything new about Novell by visiting the Novell News section on www.novelldesignstudio.com. New platinum engagement ring from Novell makes its debut in JQ Magazine. Download this platinum engagement ring article. Platinum engagement ring featured in Wedding Dresses. 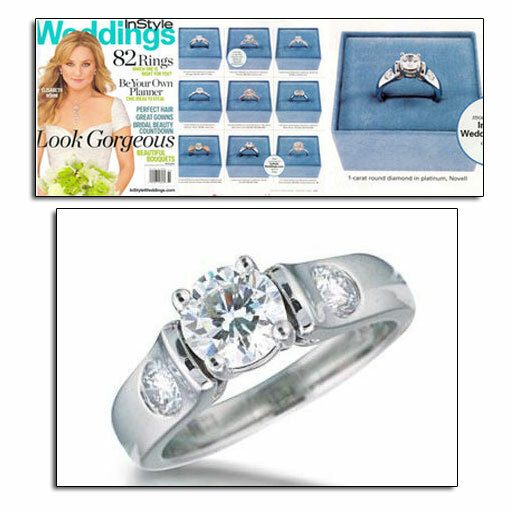 The Celebrity Lifestyle issue of Wedding Dresses featured Novell platinum engagement ring style E2389-LCP (2 x 0.18 round diamonds). 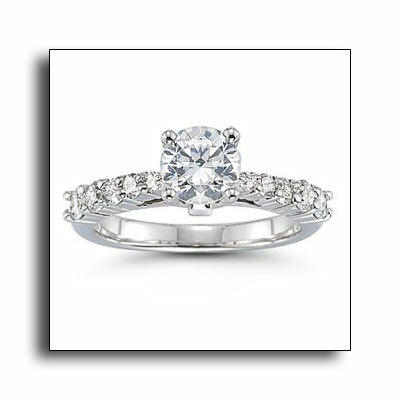 Classic Novell platinum engagement ring by Novell. Platinum wedding bands and engagement ring in Brides. Download the Brides magazine editorial feature. 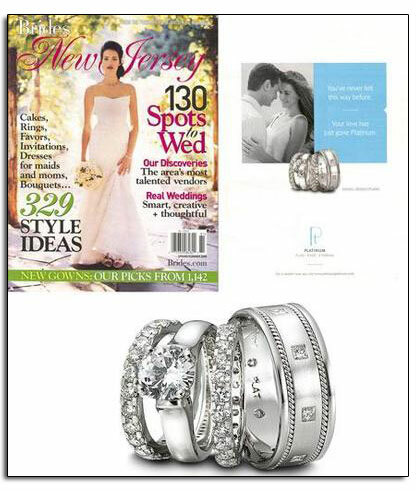 Platinum wedding bands and engagement ring featured in Brides local editions. Download the Elegant Bride editorial feature. Learn more about platinum and why it is so precious. 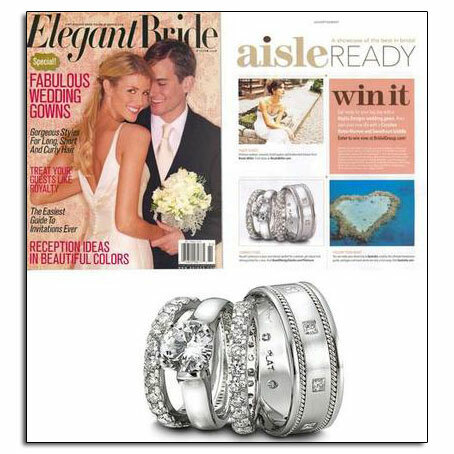 Platinum wedding bands and engagement ring as featured in Elegant Bride's "Aisle Ready." Platinum engagement ring in In Style Weddings magazine. 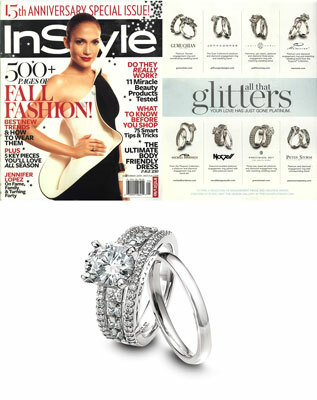 The Winter 2008 issue of In Style Weddings featured Novell platinum engagement ring style E2389-LCP. Download the In Style Weddings article. 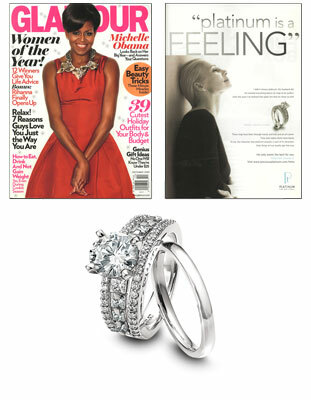 Platinum engagement ring featured in In Style Weddings. 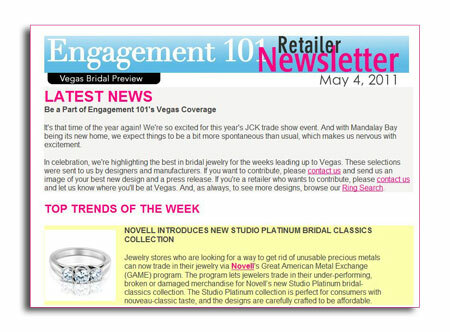 Platinum engagement ring featured in “The 6 Hottest Engagement Ring Trends” article. 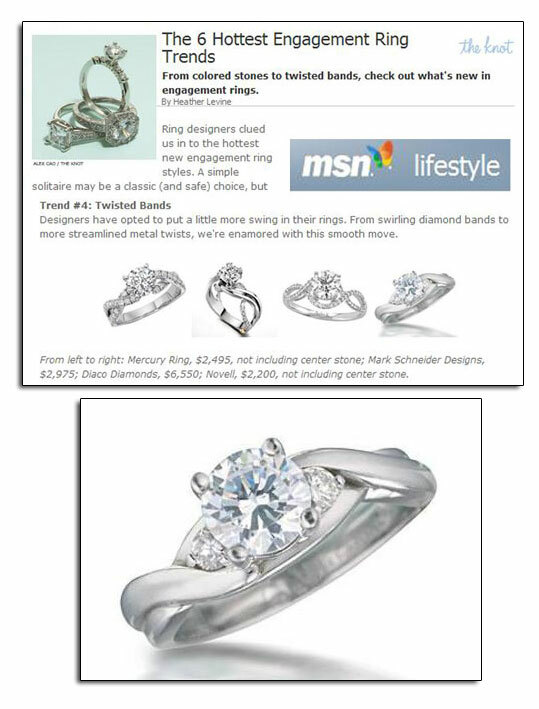 The 6 Hottest Engagement Ring Trends, a story by The Knot‘s Heather Levine for MSN Lifestyle.com, featured Novell platinum engagement ring style PE2087-LCP (with 2 x .08 round diamonds). 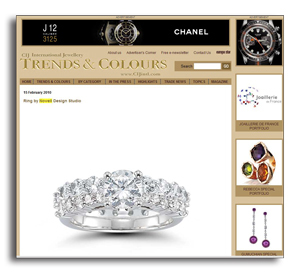 Download The 6 Hottest Engagement Ring Trends article. Platinum engagement ring featured on MSN.com. 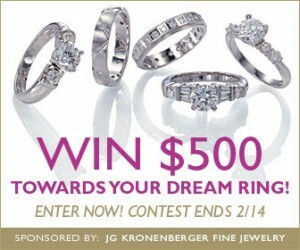 Platinum engagement rings on Brides.com. 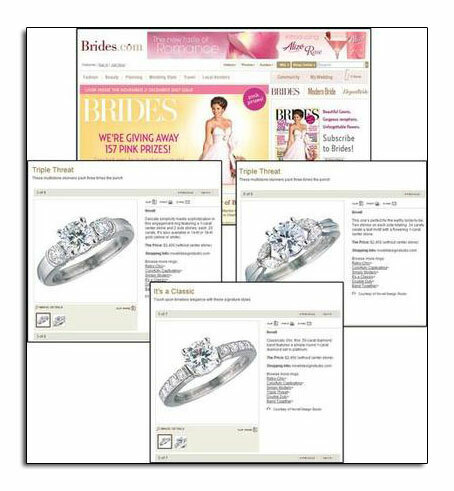 Brides.com featured platinum Novell engagement rings (from top left clockwise) E2384-LCP(2 x .20 dias), PE2205-LC (4 x 0.085 round diamonds) and E2390-LCP (4 x 0.05 and 10 x 0.03 round diamonds). 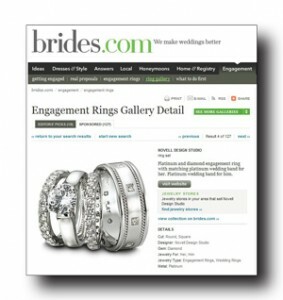 Download the Brides.com engagement ring feature. Platinum engagement rings featured on Brides.com. Platinum engagement ring in Engagement 101. 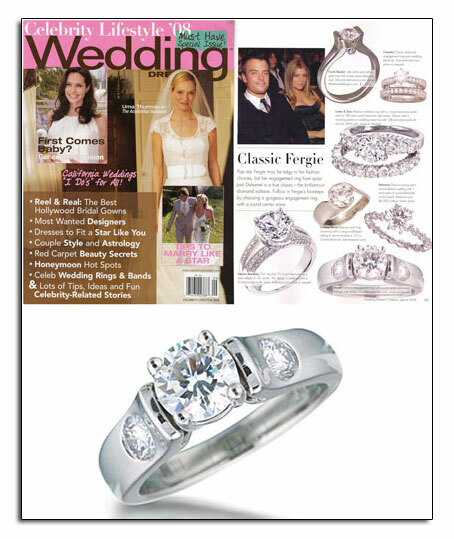 The Engagement 101 issue of Wedding Dresses features Novell platinum engagement ring style PE2347-LA on page 76. Download this editorial featuring the platinum engagement ring. 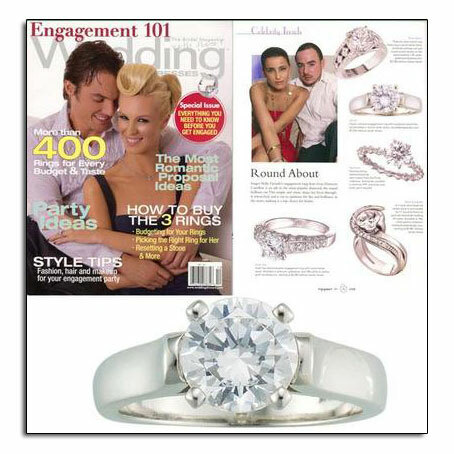 Platinum engagement ring featured in Engagement 101 bridal magazine.